Our Flat Top Potain cranes have been especially designed for challenging urban-environment construction sites. 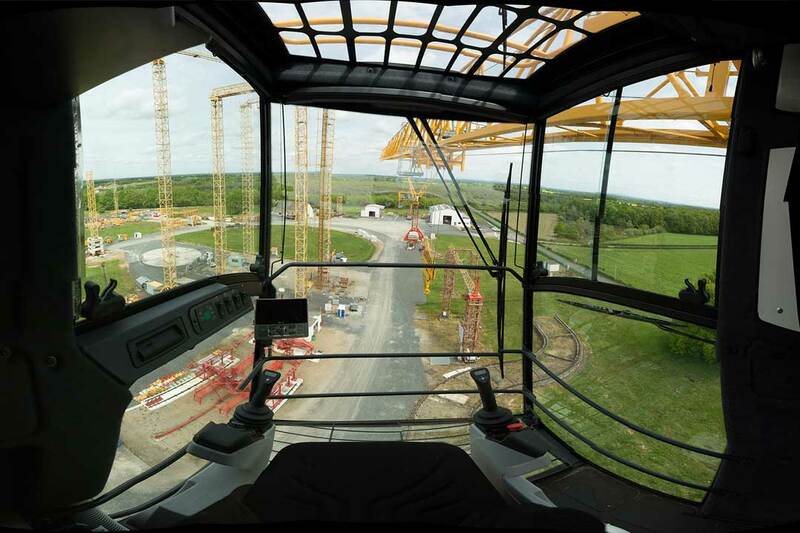 They can be assembled and disassembled very quickly and are adapted to sites with limited available space or where several cranes have to operate simultaneously. 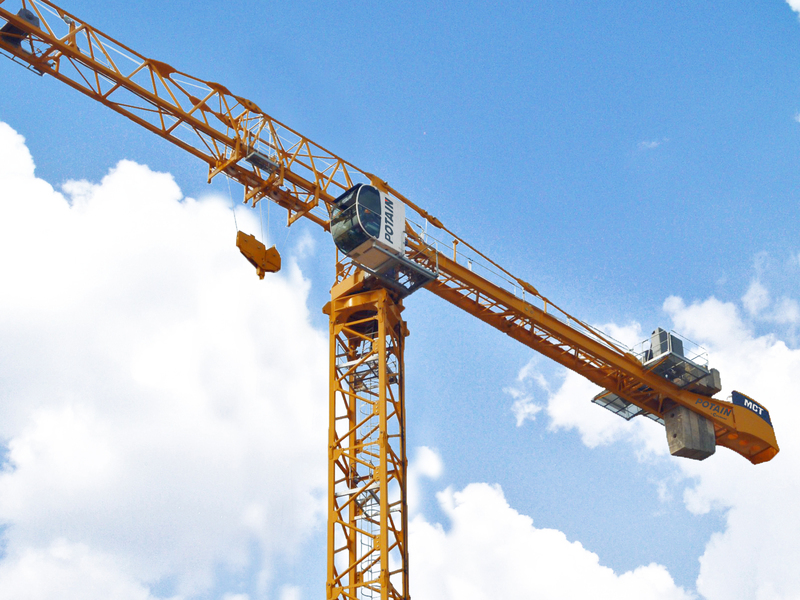 These cranes have less dimensions to consider thanks to an upper part without cathead or jib tie bar; in parallel, Jib configuration can be changed in the air during the evolution of the construction project. Our models have nothing to envy to hammerhead cranes as they can easily lift up to 16 tons. Our models can also be fitted with the anti-collision system which makes them much more efficient and secure to operate on busy construction sites. CCS means more safety and better features on the MDT and MDT City ranges. 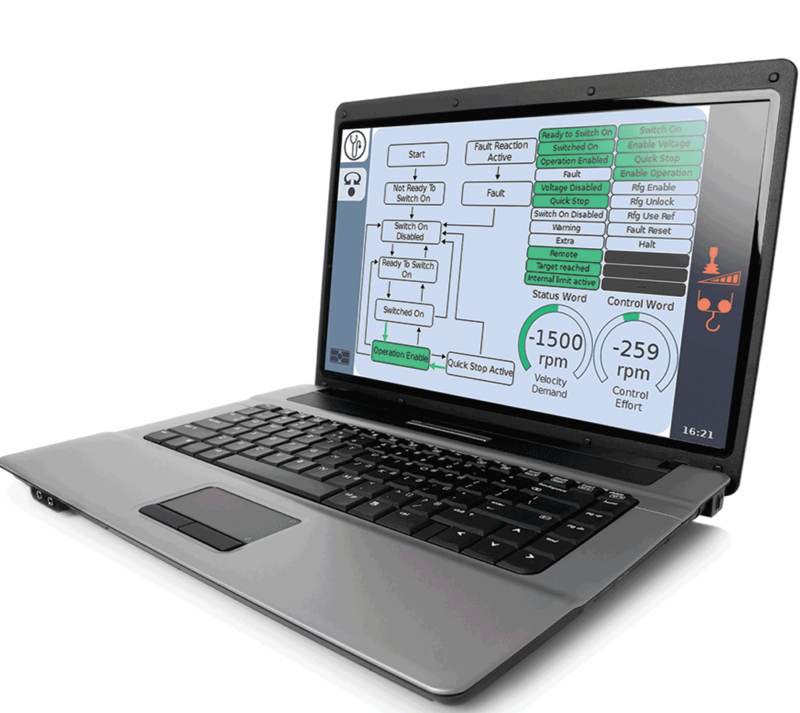 The user-friendly crane control system (CCS) offers more optimized performance, better flexibility, increased load charts, ergonomic control - all in all a better return on investment (ROI). The MCT Crane is easily erected and maximizes productivity. Return on investment is made possible without compromising on safety. Flexible, efficient and elegant, the MDT cranes can be adapted to all project sites : This is made-to-measure technology. They allow for the installation of multiple cranes simultaneously by shrinking the height gaps and meddling between cranes. Assemble, erection, transportation and maintenance times are lowered, minimizing operation costs.